Symmetry is a great topic to creatively explore because of all the opportunities nature offers us! 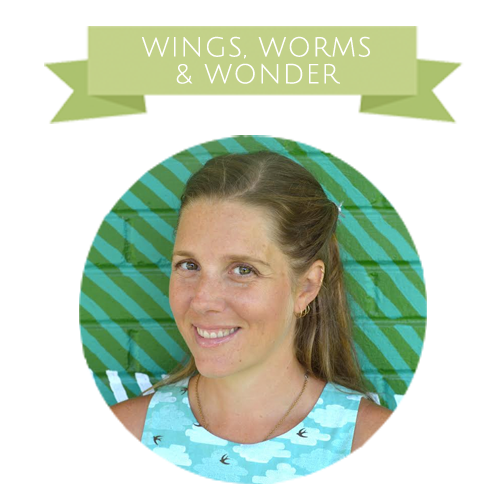 From animals to plants to snowflakes, symmetry and asymmetry abound in our natural world. 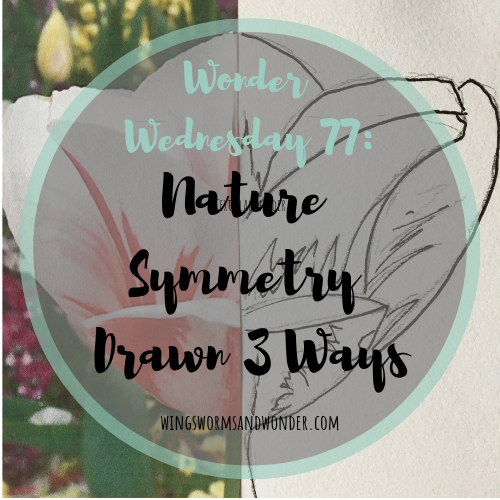 So in this Wonder Wednesday 77 activity, we’re playing with 3 types of symmetry in our nature journals – reflection, rotational, and point symmetry. 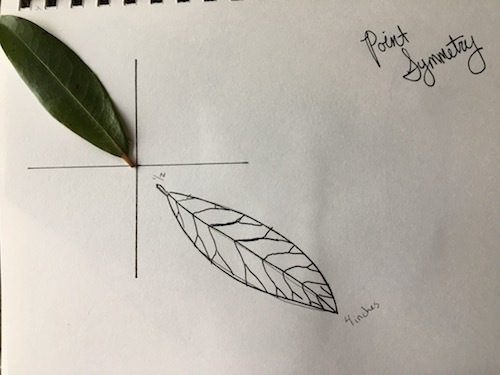 Symmetry as a theme is not only great for y’all nature journalers to explore drawing, it’s a perfect way to integrate nature and journaling into math lessons for the teachers out there! Symmetry? So what, isn’t that just a mirror image? Well yes, but there are different types of symmetry found all around our natural world. Reflection symmetry is the type we think of first – a mirror image where the line of symmetry runs through the center of an object or image either vertically or horizontally. 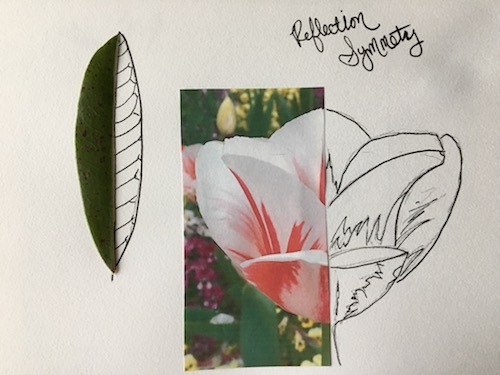 Many flowers are great examples of reflection symmetry because they are easy to draw a clear line down the middle and see one side mirrored in the other. 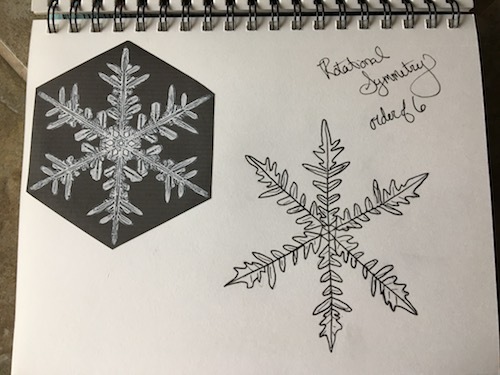 Rotational Symmetry is when an identical image rotates around a central point, like how a snow crystal has identical arms that rotate around the center. The amount of times the image appears around the central point is called the order – so in the case of a snowflake, the order would be 6 because snowflakes always have 6 sides or arms. Point Symmetry is when 2 identical images are exactly the same distance form a central point, but in the opposite direction. Point symmetry combines both rotational order of 2 and reflection symmetry – it flips the image both upside down and backwards. 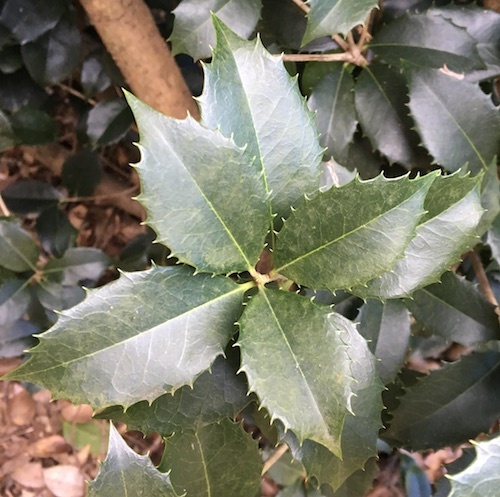 In the picture of the osmanthus branch below, if the very center of the stem is the center point, the leaves grow in a way that if you took one and flipped a second one 180 degrees each point on the leaf would correspond to the original leaf. 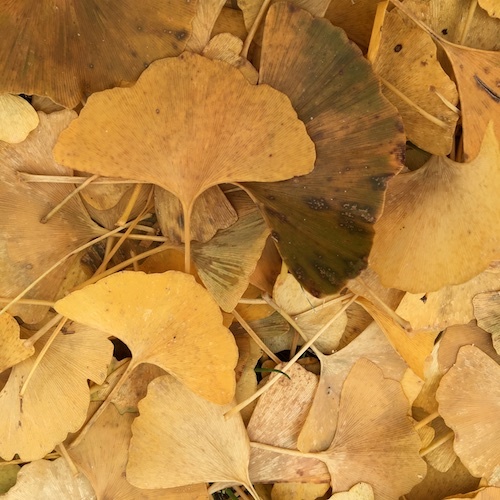 Gingko leaves are interesting because at first glance they seem symmetrical in leaf margin shape, but upon closer inspection, they actually are asymmetrical. If you fold them in half down they center line, they actually don’t mirror. Drawing tools – pencils, color pencils, markers, or whatever you like! Either: gather items from nature to draw, print out your own photographs taken on a nature walk, or cut out photos nature from a magazine. Watch the video below for an example of how I drew each style of symmetry. In the video you’ll notice I draw quickly and can see I don’t labor over perfection of every little detail. I focus mainly on the perimeters of the items for time sake. Explore getting more technically symmetrical as you do more of these style nature drawings. This can be very relaxing and rewarding. Try incorporating the use of rulers, protractors, and compasses to create exact angles and tie more math into the activity. Credit: The snowflake image I use in the video is by Wilson Bently. Refresh your mind on symmetry and asymmetry or discuss these topics with your students. Consider the types of symmetry explained above. Reflect on where you see these types of symmetry most commonly in your everyday natural world. Cut your nature item or photo in half down the line of symmetry (either vertically or horizontally depending on the item or image). 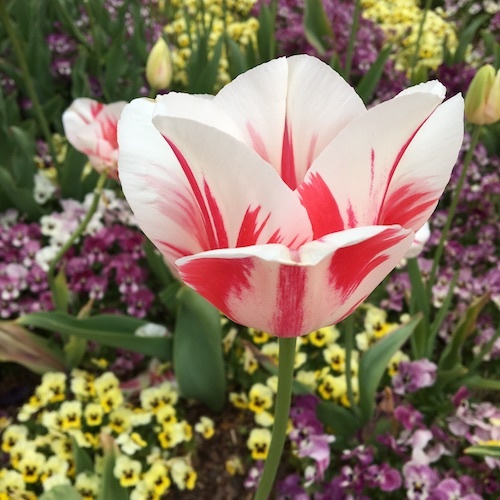 I use a rhododendron leaf and a photo of a tulip I took last spring in the video. Interesting choices of nature imagery for reflection symmetry are flowers and faces and/or bodies. You can also create symmetrical reflections, such as drawing a landscape reflected into a lake. Choose an item from nature that exhibits rotational symmetry such as snowflake or starfish photos, or an actual flower like a daisy. Decide on the order, or how many times you will need to draw the section to make it around the center point. Draw one “arm”, and then rotate your paper slightly and repeat until you make it around the whole circle. First, draw a grid with 4 sections (aka a big equal plus sign). Then, in one section draw a nature item of your choice. Then, in the diagonally opposite section of the grid, draw a flipped version – upside down and backwards – making sure each corresponding point is the same distance from the center point as the original. Leaves are a great choice to start because they aren’t too complicated. Then try something more challenging! Plants leaves – symmetrical perimeters and asymmetrical veins…or are they? Drawing is a great way to illustrate this concept, as well as help us increase our observation skills and open our minds to the symbolic impressions that we assume about nature. Drawing symmetrical symbols of nature – how is a symbolic drawing of a tree different than the outline of a real tree? What other items from nature do we draw as symmetrical symbols, that in real life, are asymmetrical? Hint – clouds, mountains, plants…..
Use graph paper to help make your symmetrical drawings more exact. Play with loose and tight symmetrical drawing and have fun with the process! What is your favorite example of symmetry in nature? Share in the comments below! Share pics of your symmetry drawings on Instagram #wingswormsandwonder, & remember to tag me too! 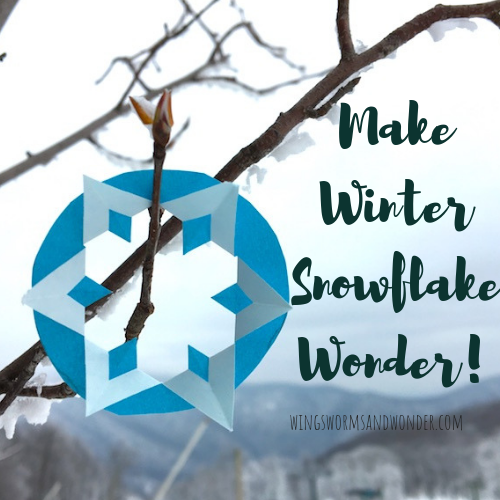 Did you see the other January snowflake making activity blog post? Have you made any snowflakes yet? These snowflakes are perfectly reflectively symmetrical too! Learn more about the rhododendron plant (from the video tutorial) in this blog post The Radical Rhododendron! Does this plant grow where you live? Check out this Natural History drawing exhibit at the American Museum of Natural History. It’s 500 years of nature drawing and some awesome nature inspired color wheels and perfect examples of nature’s symmetry in animals. 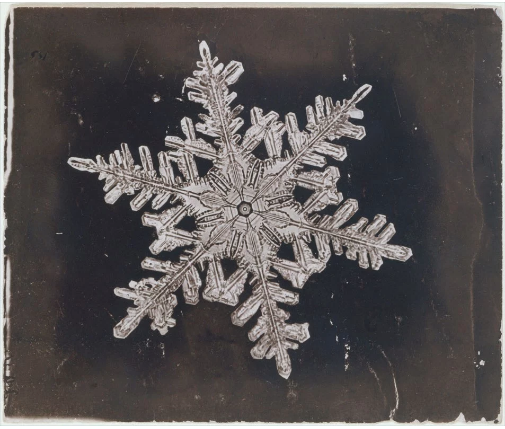 Wilson Bently was the first person to photograph snowflakes under a microscope in the 1800s, and is really interesting. Learn more about him in the children’s book Snowflake Bently, or the adult book The Snowflake Man: A Biography of Wilson A. Bently, and see his photographs in his book Snowflakes in Photographs. See the photographs in person at the Fairbanks Museum in St. Johnsbury VT. I was lucky to see them there and they are so great!